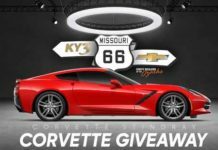 Ghost Gaming has again come up with another exciting giveaway of Xbox One S, PS4 and Nintendo Switch. 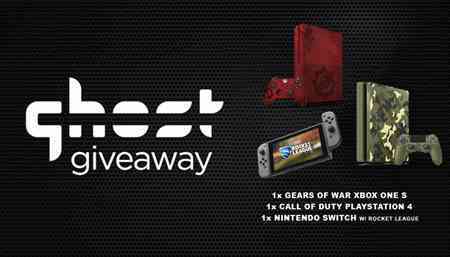 Ghost Gaming will choose 3 lucky participants out of all eligible entries received and awarded him/her with 1 out of 3 Giveaway Prizes (Xbox One S, PS4, Nintendo Switch). This is the Special Valentine Gift from Ghost Gaming for their Users. So don’t miss this wonderful chance to grab 1 out of 3 best Gaming Console and participate in Ghost Gaming Xbox One S, PS4, & Nintendo Switch Giveaway. In this Ghost Gaming Xbox One S / PS4 / Nintendo Switch Giveaway, Total 3 winners will be chosen and get the 1 gaming console from Xbox One S, PS4, & Nintendo Switch. Winners will be announced on Ghost Gaming Twitter Page. Bonus Entries:- Complete atleast 35 Actions to gain bonus entries of 10,000. Cheers!